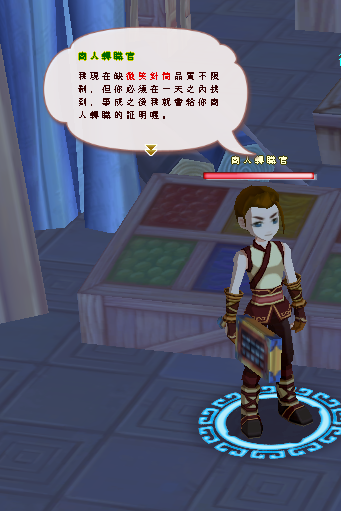 When first talking to the NPC, take a screenshot when you see red text in his chat bubble. Quest log does not display characters properly, so if you do not do this, you will have to make each lv 23 weapon until you find the right one. Hopefully this saves people a little time If any of these are not correct, please let me know. I wasted a lot of money to make each weapon into lvl 23 but never the less I had fun!